Who was the Sun King? How did samurai become sumo wrestlers? What was the Black Hole of Calcutta? And why was a California town named Ground Hog Glory? Learn these stories and so many more! Susan Wise Bauer brings to life the stories and records of the early modern times. Now more than ever, other countries and customs affect our everyday lives, and our children need to learn about the people who live all around the globe. Written in an engaging, straightforward manner, The Story of the World weaves world history into a storybook format. 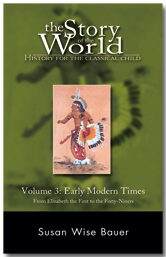 Susan Wise Bauer has provided a captivating guide to the history of the early modern world. Add The Story of the World Vol. 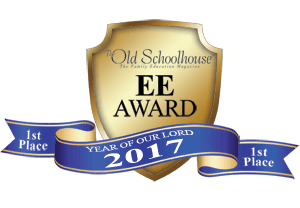 3: Early Modern Times, Activity Book for a full year of history, geography, and literature study along with maps, coloring pages, and hands-on activities. By the way, did you know that you can buy this book in a handy downloadable PDF? Much more airplane-friendly, particularly now that your e-reader can stay on during takeoff and landing. We’d call it History Unbound, but we think someone’s already bagged that title. I’m trying to decide between the PDF and the Kindle book. How many pages is the PDF if one were to want to print it? Thanks! The PDF is 420 pages long. I purchased the kindle version. How do I download it onto my kindle? On a Mac, this is typically right on the desktop. If not, open your Finder and locate the Kindle drive from the left panel. On a PC, if you don’t find your Kindle drive on your desktop, you can find it in the Computer…My Computer folder. Then move the file from your Downloads folder to your Kindle folder. What edition is being sold for the text, I saw an audio cd version for volume 3 was a second edition and wondered if the written text, activity book and test book was also second editions as well? Christie: Sorry about the confusion. There is only 1 edition of the text. The audio CD version that says “revised” referred to the fact that we re-recorded it with a new narrator and better audio quality. But the words themselves haven’t changed. So whichever CD of Volume 3 you use will be the same as this text. what volume of ‘Story of the Word’ covers the American Civil War? That conflict is covered in Volume 4.